The Lodge at Aspen Grove located in the bustling heart of Denver, off of Colorado Boulevard and Louisiana Ave, just north of I-25, is a quaint park setting location that will make the transition to your new home a pleasant one. With plenty of nearby amenities and dining facilities, and the popular Dave & Busters restaurant just down the street near the RTD light rail which provides quick transportation to any place you could want to go. With I-25 less than 2 miles away, getting to work and the relief of coming home is just a quick trip to the interstate.The Lodge at Aspen Grove offers a very spacious outdoor setting, with a balcony for almost every apartment and a beautiful city and town view. 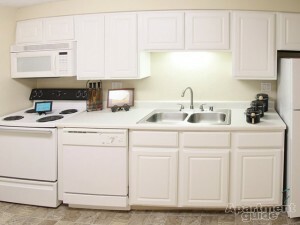 All of our floor plans not only include fireplaces, but fully equipped kitchens including a full size microwave. Laundry facilities are located in every building for your convenience. Select floor plans feature stainless steel appliances, brand new lighting fixtures, rain shower heads, and wood flooring. Residents will find Ash Grove park mere moments away from home for a wonderful outdoor experience, near the Virginia Village Library, and Ellis Elementary school, for any family and their children’s educational needs. Your new home will have a comfortable feel, and with the new remodeled look you wont believe what you get, with cable ready fixtures you can be moved in and feeling at home in no time at all. Close to Shopping, Dining, Entertainment and Much More! Cats and Dogs Welcome (Restricted Breeds: Pit Bulls, (Bull Terriers or American Staffordshire Terriers), Rottweiler’s, German Shepherds, Dobermans, Chows, Presa Canarios, Akitas, Wolf Hybrids, and Huskies! 2-pet maximum Monthly Pet rent is $35 Per Pet, Pet Deposit is $250 Per Pet; Non-Refundable Pet Fee $250 Per Pet. 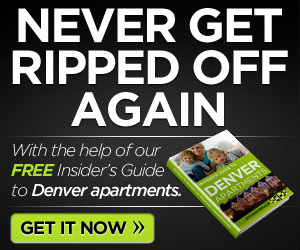 The Lodge at Aspen Grove Apartments is also just a couple miles from the Cherry Creek outdoor Mall. We have a walkable score of 77 and a bikeable score of 69! We have an abundant of options to support a Colorado lifestyle. Make the most of your downtime; with a local recreation center, The Glendale Sports Center at Infiniti Park and just blocks from Rugbytown USA where you can experience the Glendale Raptors capture a win! Or for skiing and other mountain pursuits, Lookout Mountain and ski resorts are just west of The Lodge at Aspen Grove on HWY 6. Everything you could want is only a short trip away from home! Our friendly community has five different uniquely designed floor plans to choose from, starting with the spacious Cypress floor plan, all the way up to the luxurious Sequoia which will leave you wanting only for furniture to fit in your new home! With I-25 less than 2 miles away, getting to work and the relief of coming home is just a quick trip to the interstate. The Lodge at Aspen Grove offers a very spacious outdoor setting, with a balcony for almost every apartment and a beautiful city and town view. All of our floor plans not only include fireplaces, but fully equipped kitchens including a full size microwave. Laundry facilities are located in every building for your convenience. Select floor plans feature stainless steel appliances, brand new lighting fixtures, rain shower heads, and wood flooring. Residents will find Ash Grove park mere moments away from home for a wonderful outdoor experience, near the Virginia Village Library, and Ellis Elementary school, for any family and their children's educational needs. Our leasing office is conveniently located on the property and is open during the week from 9:00AM to 6:00PM, on Saturday from 9:00AM to 5:00PM with friendly staff to assist you in any way we can. We welcome you to visit our photo gallery or stop by our leasing office and chat with our friendly staff about your future home, and while your here come take a tour to see just what The Lodge at Aspen Grove has to offer! 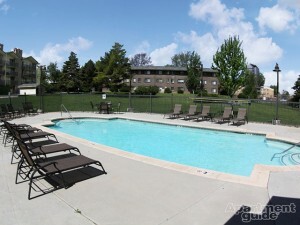 The Lodge at Aspen Grove Apartments is professionally managed by AMC, LLC. Your needs will be met in every way, with no details overlooked. Our management team maintains the highest degree of professionalism and is committed to ensuring the satisfaction of our residents. Our experienced maintenance team puts all their time and effort to ensure that each task is done quickly and efficiently. How about you? 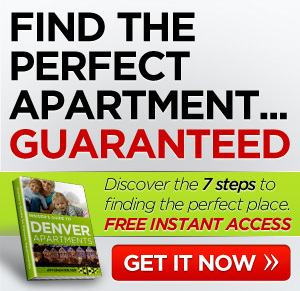 Any luck finding Denver apts? Comment below.